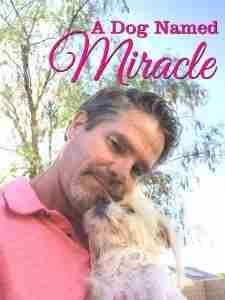 In this episode of the Little Pampered Dog Podcast we interviewed David Loop about his dog named Miracle. Miracle’s story is an international viral sensation. In this recording you’ll hear David, in his own words, talk about this little dog’s will to live and his unending love for this little angel. David and his family named her Miracle because that fact that she has not only survived, but is happy and thriving is indeed miraculous. This is a feel-good story that will leave you knowing that there are still great people in the world. I feel honored to know David and I know you will too. Issue 11 of Little Pampered Dog includes a full article on David and Miracle. You can pick up Issue 11 by downloading the free app and then purchasing issue 11. Our Publisher’s story on a recent grooming experience. 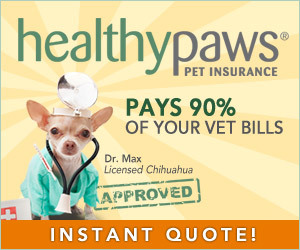 Home-Cooked Foods for Pets Everywhere. Fedwell’s story – how an African dog inspired a business and how your dog can benefit. Pet-friendly Vail facts and history. Our interview with Rob LeVine of the Antler’s at Vail. This is Vail’s first pet-friendly luxury lodging. Passing through Savannah. You’ve passed Savannah, Georgia on the highway, now we give you and your dog a few reasons to stop. Important Savannah secrets. Don’t travel to Savannah without checking this article out. You’ll especially want to know about Secret #3 – the tour created just for canines (hint, humans are allowed too). To access the magazine simply to to http://www.littlepampereddog.com/apple. You’ll download a free app for your Apple devices and then you can purchase Issue 11 – even better yet, become a subscriber and part of the Little Pampered Dog family! To access Issue 11 simply click on the cover below to be taken to the free app on iTunes. Note that Issue #11 is NOT FREE but if you want to give us a try first before purchasing, simply download Issue #2 – which is a FREE issue. Outstanding podcast from David Loop about his precious Miracle. I have been fortunate to meet Miracle and she is everything he said she is, and probably more. What a loving family he has. Everyone is so supportive. I check in to his FB page everyday. He also rescued a tiny kitten last December in a storm drain. This was also captured on the news. It was over a 38 hour rescue and it was touch and go all that time. But, he was successful and little Piper is now adopted and living the high life. The rescue was at a Costco parking lot and a plumbing company, that David knows, helped in the rescue. It is wonderful that so many people come together in times of need. David is one in a million and his wife and family are quite amazing people. The world would certainly be a better place if more people were just like them!!!!! I couldn’t agree more with you, Janelle. David and his family have restored my faith in humanity. I was very honored to interview him.